Normally your phone has a process which checks for pending updates every "X" amount of hours. But what if you want to force the device to check for updates immediately? This is a trick I found a while back and continue to use time and time again. On the last entry of the *, your phone will pause while it is checking for updates. Once it has completed, you will see a yellow exclamation icon in the notification (or different icon depending on your installed theme) bar letting you know that checkin has been completed and if an update exists you should be notified. That's it! Go into your phone's settings through you home menu and check for system updates. If anything the update should already be downloading! This has been shown to work on 2.1 (Eclair), 2.2 (FroYo), and 2.3 (Gingerbread). However, not all custom phone dialers support the codes, so try to use the stock Android dialer if you have multiple installed. 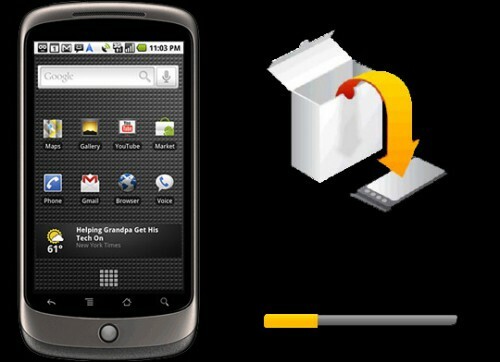 The stock dialer is the one that ships on Google experience devices like the Nexus One, Nexus S, or Droid1.